Timbertherm flooring uses the latest in nano-carbon infrared technology to create a unique alternative to conventional heating systems. Unlike traditional heating systems which rely on air movement to heat the surrounding area, Timbertherm uses infrared heating, which works by direct heat transfer. 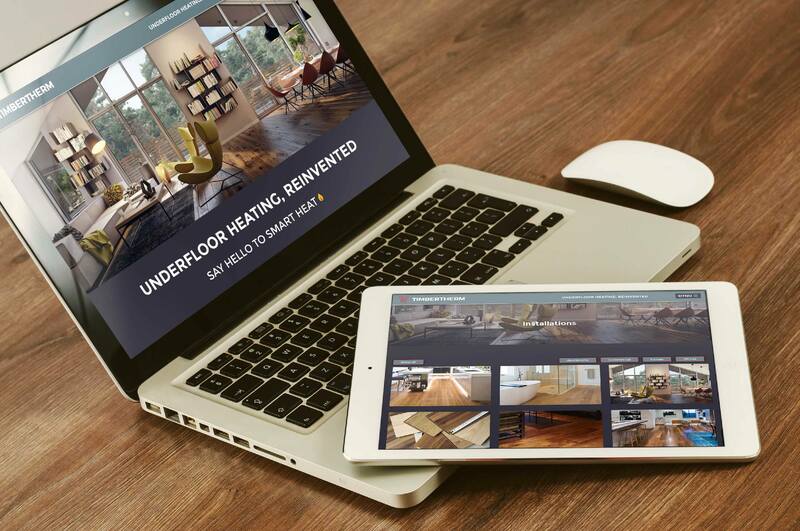 We created a new WordPress website following Timbertherm’s branding, to ensure the website remained consistent throughout. To make sure users can access the website from any platform, the website was developed using the ‘mobile first’ approach. Doing so means all users can access the website from a mobile, tablet or desktop and still achieve an excellent user experience.